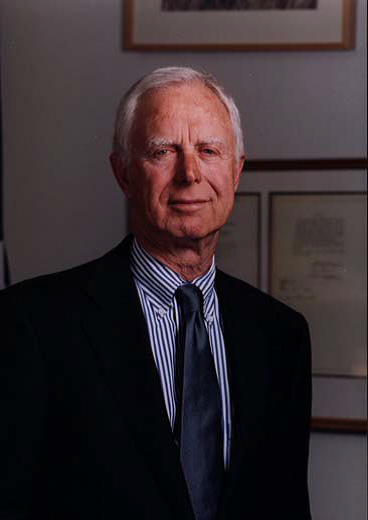 San Francisco, CA September 10, 2015 – SoFi, the second largest marketplace lender, today announced Arthur Levitt, the longest-serving chairman of the US Securities and Exchange Commission (SEC), will become a SoFi advisor. The firm also announced it has surpassed $4 billion in funded loans across mortgages, personal loans, and student loan refinancing. Four years ago this Fall, SoFi launched as an alternative to traditional banking. It was the first marketplace to offer refinancing of both federal and private student loans and the first to offer mortgages to its members. In his advisory role, Levitt will provide strategic counsel to SoFi’s executive management team as the firm moves closer toward its goal of becoming the primary financial services partner for members. “During his storied career with the SEC, Arthur was a compassionate regulator on the forefront of initiatives that educate, empower and protect America’s investors. We share similar philosophies about transparency, trust and doing what’s right for consumers,” said Mike Cagney, SoFi CEO and co-founder. “As we reach four billion dollars in funded loans — an important milestone – I’m humbled and honored that Arthur is joining us in an advisory role. We’re confident that his experience will benefit SoFi and the marketplace lending industry overall as we navigate an increasingly complex regulatory environment,” he added. “As a longtime supporter of new technologies, innovation and challenging the status quo, I was naturally drawn to SoFi,” said Levitt. “SoFi is creating a unique financial services model, providing significant value to members and investors alike. I’m thoroughly impressed with its success to date and unwavering commitment to members. I look forward to working with SoFi during such an exciting time for the company and the fintech space more broadly,” he continued. SoFi is a leader in marketplace lending and the largest provider of student loan refinancing, with over $4 billion dollars in loans issued. SoFi is transforming financial services for high achieving members with student loan refinancing, mortgages, mortgage refinancing, and personal loans. Unlike traditional lenders, its proprietary underwriting approach takes into account merit and employment history to offer unique credit products our members won’t find elsewhere. SoFi offers individual and institutional investors the ability to create positive social impact on the communities they care about while earning compelling rates of return. For more information, visit SoFi.com.